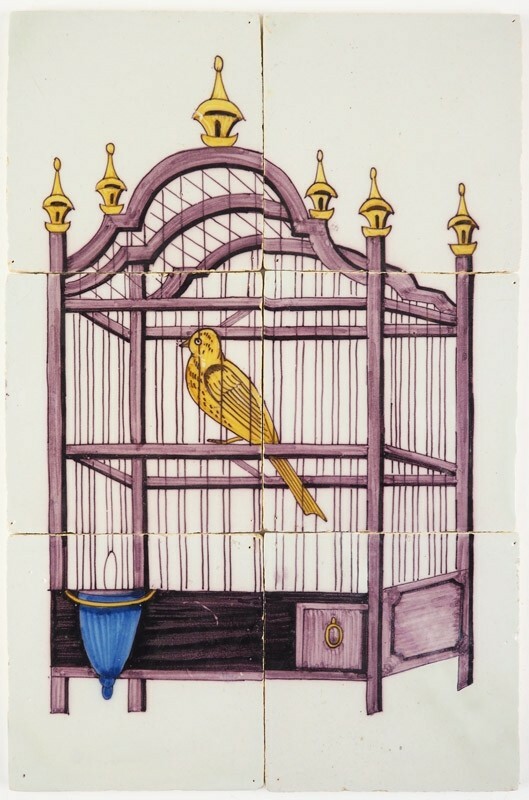 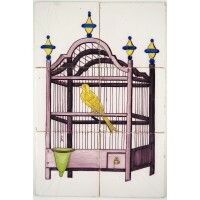 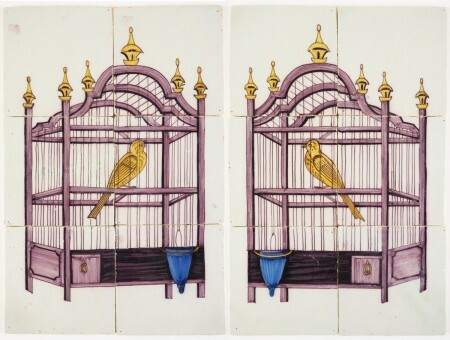 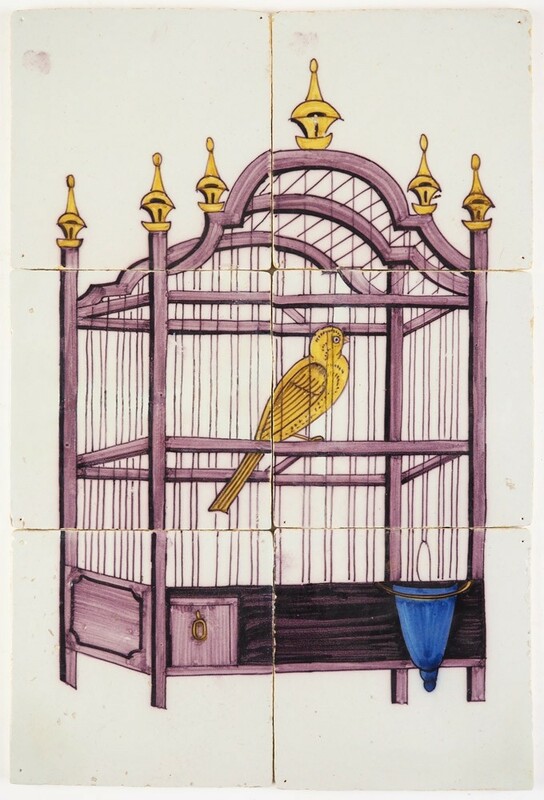 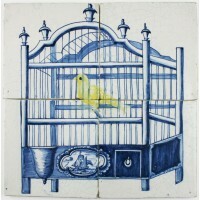 This is a lovely pair of original 19th century (c. 1850) Delft tile murals depicting bird cages with canaries. 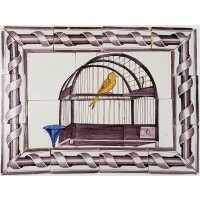 These murals were often tiled on the left and right side of a fireplace, with both birds looking in each others direction. Although these murals were originally sold together, it hardly occurs that both murals are still existing and together after 175 years. 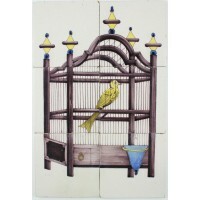 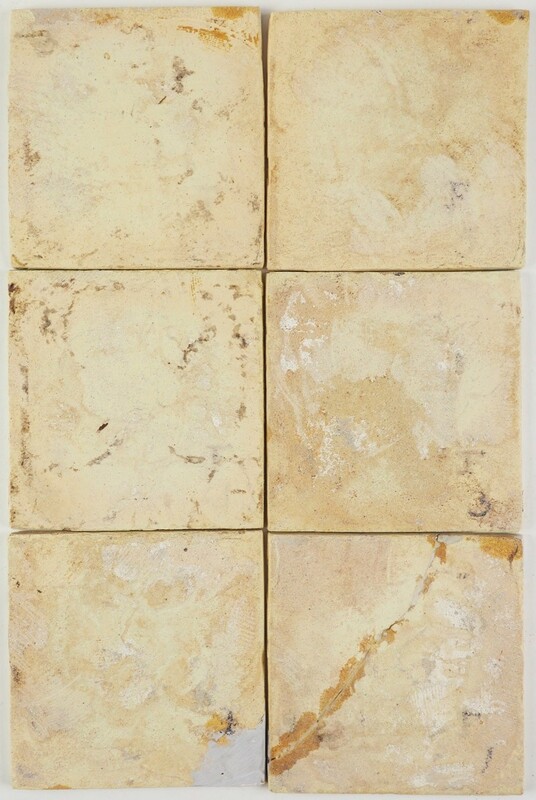 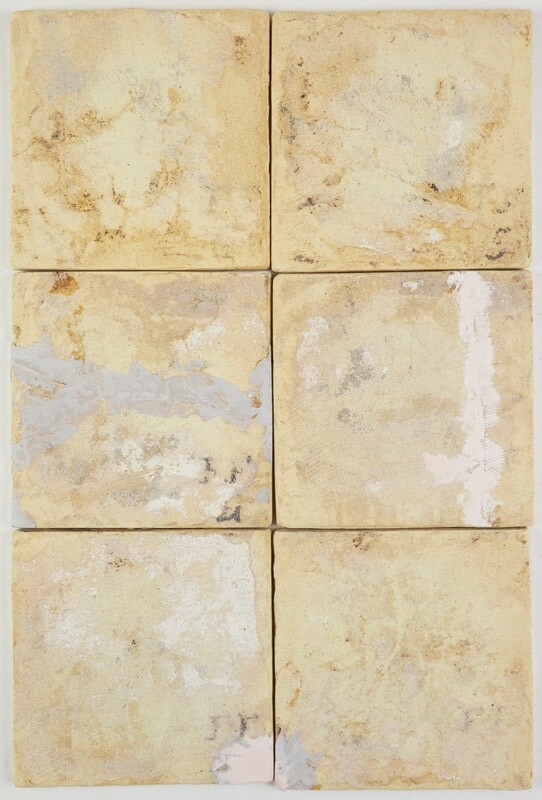 They are wonderful to use for an interior design or restoration project. 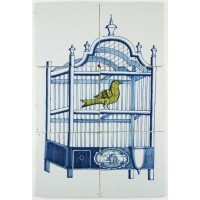 Each mural measures approximately 10.2" (w) by 15.4" (h) or 26 cm (w) by 39 cm (h).